Hey guys! I'm Nat. Thank you for checking out Not Another Wellness Podcast/Blog. I am always on the go searching for ideas, inspiring people, new places and natural things. I love a good conversation with someone who has done something remarkable. I am an avid cold brew coffee and Kombucha drinker (preferably one in each hand) and I love natural health, beauty and home products. 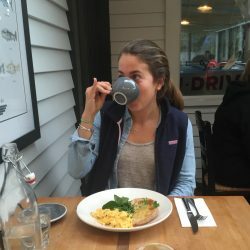 This is a wellness blog, about travel, entrepreneurship, health, wellness, fitness, kombucha, and certainly DIY crafts and projects I have enjoyed lately. Check out my podcast on Itunes, Google Play and Stitcher. Not Another Wellness Podcast.